Synopsis: Four disillusioned Tokyo teenagers who have never met are suddenly drawn together by a mysterious chain mail message sent to their cell phones. In the tradition of classical Japanese tanka poetry, each teen takes on a role in the intriguing and absorbing narrative: the schoolgirl stalked by an older boy, her mysterious stalker, the schoolgirl’s boyfriend, and the female detective. 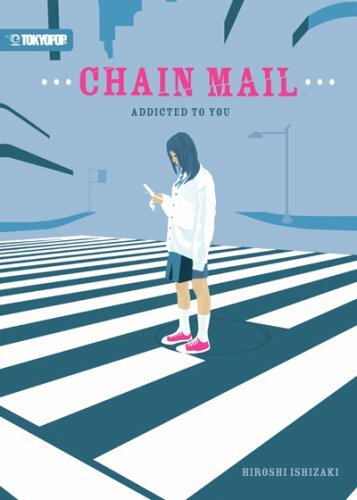 Written from each character’s point of view, Chain Mail carries the reader on a suspenseful adventure juxtaposing teenage angst against a colorful Tokyo backdrop in an unforgettable tale that blurs the boundaries between reality and fantasy. Richly plotted to play on the love young adults have for thrills and chills, not a single weak link binding it together. Note: The header image is from a related fanart.